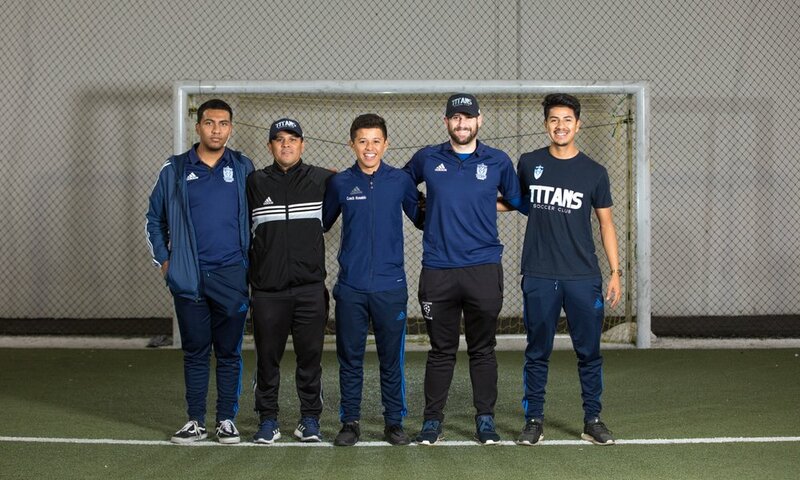 Titans Soccer club is committed to working with the best coaches, consultants and trainers so that our teams are trained and structured at the highest level of excellence. We have a very diverse coaching staff from different countries and nationalities. Meet Julio, he joins us as a consultant expert for Titans Soccer club. Julio has had experience coaching at the L.A. Mission College, possessing numerous years of success at the highest competitive levels in academy, club, college and high school soccer. In his first season as head coach, Castillo led the Los Angeles Mission College Men’s soccer team to its first playoff appearance in many years. Castillo also led the Real So Cal Boys U-18 Academy team to the finals and was named Far West Coach of the Year. He won the United States Youth Soccer National Championship with his U-14 boys Valley United Blast club team, which contributed to his winning Youth Coach of the Year honors. Castillo’s Valley United Boys ‘91 squad won League and League Cup in 2002 and 2003. He also led his teams to a National State Cup Championship and Far West Regional title in 2004, 2005 and 2006. Castillo coached his Boys ‘92 team to League titles in 2003 and 2004. At the high school ranks, Castillo was the head coach of the Reseda High School Boys’ varsity team for six years, in which the Regents made the playoffs every season. Among the Northridge players Castillo coached while at RHS were Matador All-Americans Edwin Miranda and Willie Sims. In 1998, Castillo and the Regents won the City Championship and he was named Coach of the Year. Castillo was also an assistant with the Pierce College women’s team and helped them reach the playoffs in their first season. He served as the assistant coach for the California State University of Northridge Women’s team for two seasons. Castillo has also coached at Louisville and Harvard-Westlake High Schools. The native of Guatemala earned his Bachelor of Science degree from Cal State Northridge in 2002. Castillo currently lives in Lake Balboa, California with his wife and their children. Meet Manny, our coach for our boys 2009. Former semi-professional soccer player in his home country of El Salvador. Manny is currently head coach of Sherman Oaks Center for Special Studies High School and has experience coaching youth club teams and high school levels soccer teams. As coach for the youth club soccer level he enforced strict conduct policies that would engage players to perform at there very best. Manny has a great understanding of multiple game aspects such as motivating players, best fitness practices and is well versed in school and sports regulations. Manny currently holds holds a U.S. Soccer Federation "E" Coaching License since 2003. Meet Coach Joshua our coach for boys & girls 2011-2012, he joins us as a coach for Titans Soccer club. Joshua has been playing soccer for over 25 years and has played 2 years for the NCCAA Division. He has been head coach for boys under 14 AYSO league and also head coach for the West Valley Christian Elementary Boys and Girls. Meet Coach Edgar our coach for boys 2010, he joins us as a coach for Titans Soccer club. 21 years of age. Born in the San Fernando Valley California. Edgar has been playing soccer for 16 years. He reached 3rd Division Soccer of the MLS. It was a great accomplishment as a player & now He’s focused on sharing his knowledge and skills to the future generation. I have coached at Chime Institute and lead them the Elementary Boys Soccer team to an undefeated season for the League Championship. Coached at SOSES High School 2016-2017 worked to build a great program for years to come. His goal in coaching is to encourage, motivate, and to take his players to the next level in soccer. Hard work & great character is required and taught daily in all his practices & games. Can’t wait to get to work with Titans SC in 2019 & help creating the future superstars of soccer! Coach Edgar is currently the Junior Varsity Head Coach at Reseda High School. Hello! I am Coach Ronaldo our coach for Girls 2009. I am 21 years old & soccer has been a huge part of my life from early on. I have played soccer since I was 5 & began playing club soccer at 12. In my high school career, I was able to achieve 1st Team All-League in my senior year & that same year we made it to playoffs after 12 years. In the High School level Ronaldo coached at SOSES High School in the 2016-2017 season. In the club level I assisted a local team for 3 years. Witnessing the transformation of 8 year-olds having a season made of pure losses into an undefeated season (2 years later) it was spectacular. Knowing that the parents gave their time and patience to see growth from there players who started from zero, gave us coaches the greatest support to guide their children to reach a higher potential. I have now coached my own teams for 2 years. I have worked with players from 8-11 years old. Aside from the sport, I have worked with teenagers and adults with special needs for over 6 years to present. Meet Coach Enrique our coach for boys 2008. Our youngest coach 19 years old Enrique playing soccer since the age of 5. Born in Los Angeles Enrique has played soccer at many different levels such as, Recreational, High School, Club, & College soccer & held an assistant coach and field captain for another club. At Sun Valley High School Enrique won the CIF championship 3 times and played in the State Playoffs. Mission College is the last team I played with and now I am focusing to help young kids with the knowledge and training I have learned.